Select a product from the list below and press the "Find Product" button. Please Note: currently, this product is only available through Anne’s Online Cart. 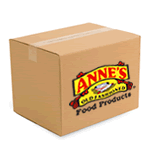 If you would like to see your favorite Anne’s Food Products in a grocery store near you, please fill out this form, and we will encourage your local distributors to carry our products.